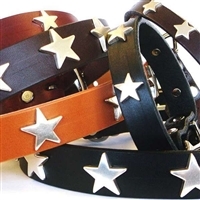 Find black dog collars and black cat collars in Swarovski crystal, rhinestones, bling, leather in elegant and everyday styles at Snooty Pooch Boutique. Black conveys elegance, sophistication and a touch of mystery. Unique, cute and colorful leather collars for small dogs and cats. Choose your collar and crystal colors. Premium leather dog collars for small to large dogs. Full grain leather dog collars for small to large dogs. 2" wide dog collars with buffalo plaid fleece.